A successful kidney transplant is often the best treatment for people with end stage kidney disease (ESKD), from the medical, psychological and social points of view. 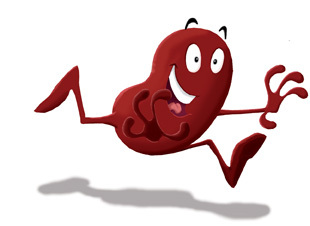 A kidney transplant provides the best opportunity for good long-term health. It also offers better long-term outcomes than dialysis, which is the other major treatment option for people with kidney disease. In Ireland, the majority of transplanted kidneys come from people who have been declared brainstem dead. This occurs in hospital intensive care units and is often the result of an individual’s sudden death. When a person’s organs are offered for donation, after their death, that person is known as a ‘deceased donor’. Research suggests that living kidney donation might offer a number of advantages to the recipient when compared to a deceased donor transplant (see list below). The transplant can be planned in advance. The transplant can occur earlier, so the recipient may spend less time on dialysis or even avoid dialysis altogether. The donated kidney spends less time in storage. Donor-recipient tissue matching can be better, which might mean a lower chance of the kidney being rejected by the recipient’s body. 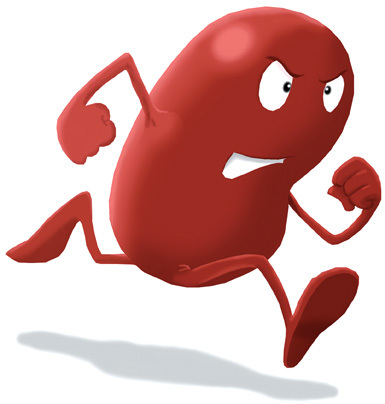 Long-term results are better for the recipient, when compared with a deceased donor kidney. Since the make-up of the families can be similar, or more rarely – as in the case of identical twins – identical, the chances of the recipient’s body rejecting the donated kidney is less with a donor kidney from a family member. Some of these advantages of living kidney donation are also true for donors who are not genetically related to the recipient, such as husbands or wives. It is, therefore, worth exploring the possibility of a non-related living donor if this is an option for a person in need of a kidney transplant. Someone who is thinking about donating one of their kidneys to help a loved one has many things to consider. The medical staff will need to do a complex series of tests, which may take quite a long period of time. This is to make sure that the donor is in good physical and mental health and that their kidney is suitable for transplantation. 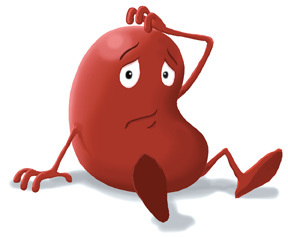 One of the most frequent concerns of potential living kidney donors is whether the loss of one kidney will hamper them in later life. A healthy person can live a completely normal life with only one kidney; indeed, some people are born with only one kidney. If a kidney is removed, the remaining kidney increases slightly in size and capacity, and can carry on the function of two kidneys. This means that it is possible to remove one kidney from a healthy living person and transplant it into someone who needs it, with no ill effects on the donor other than the surgery itself. Studies have concluded that the risk of experiencing serious problems (such as kidney disease later in life) from donating a kidney is very low. There is sometimes a slight rise in blood pressure or increased loss of protein in the urine for the donor, but this does not usually impact on the donor’s health in the long-term. The renal unit, at Beaumont Hospital, plans to follow-up all living donors, on an annual basis, for life so that any health issues can be detected at an early stage. These issues will be discussed in more detail throughout this guide. It is worth remembering, however, that the operation to remove a healthy person’s kidney carries the same risk as any major surgical procedure. 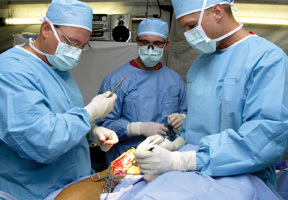 Although all possible precautions are taken, there are always risks when undergoing surgery. There are also practical issues that need to be considered, such as the time taken off from work for the investigations and after the operation. It is also important to consider domestic responsibilities and practical arrangements, such as looking after children. In addition, a number of investigations are performed that may uncover a previously unknown medical condition. Pressure on the donor from other family members can be an issue and there may be pressure to donate a kidney to a family member who is unwell, even if the donor is not entirely sure that it is the right thing for them to do. For donors, it is therefore important to consider all these issues before you even volunteer for the initial tests. It can be harder to think clearly about the issues once, for example, you are told that your kidney could be a suitable match for the recipient. A wide range of people can consider becoming a living donor for a loved one. These includes a close relative, spouse, partner, or close friend who has demonstrated a longstanding emotional relationship with the recipient. 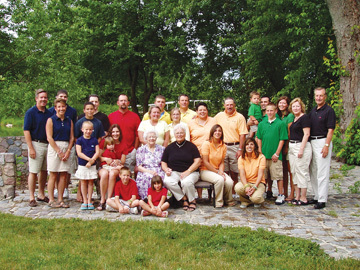 Donors are usually brothers, sisters, partners or parents of the recipient, and, less often, they are relatives such as uncles, aunts, grandparents, sons or daughters. Potential donors should be at least 21 years of age. There is no strict upper age limit for potential donors, but an older person is less likely to pass the medical examination for potential donors, given that advancing age can bring more medical issues. The outcomes are generally better for recipients when the donor is similar in age to them. Similarly, a slight person who is of low body weight might not be the best donor for a large person of strong build. Each case will be considered on an individual basis by the transplant team and decisions made accordingly. Although one might think that most family members would want to give a kidney, life is not nearly so simple. Donation between brothers and sisters, for example, can present a variety of family and emotional issues. The problems are usually less complex for parents donating to children, but even here, loyalties may be divided between a desire to provide for one child, whilst inevitably depriving other children of one parent for a period of time. This is not a trivial consideration, since the transplant operation might come after a long illness for the affected child, during which time other children may have felt deprived of their share of parental love. Parents, as with all donors, must also face up to the possibility that the kidney may not function, and all will have been in vain. Finally, there may be conflict between the parents as to who should give a kidney. The transplant team is fully aware of all the issues (psychological or otherwise) involved in living kidney donation. For that reason, they may appear to take a deliberately discouraging stance, pointing out to prospective donors all the physical hurdles and tests they must pass, before being considered. They will also warn of the possible loss of the transplant in honest terms. 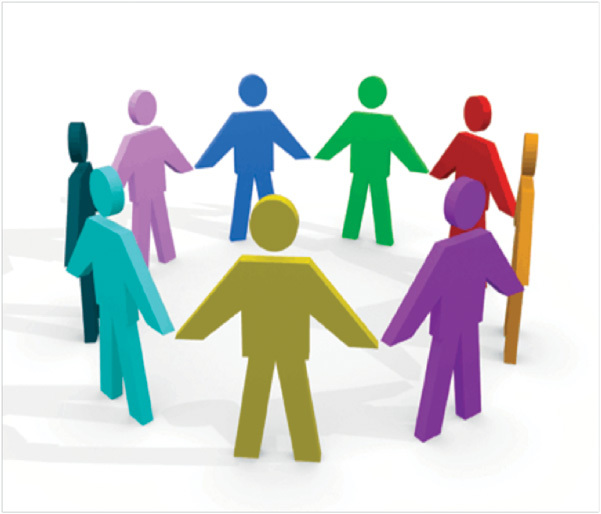 It is very important that, before volunteering, and throughout the assessment process close members of the family fully understand the process and consider all the risks and implications. It is important to openly discuss how everyone feels, especially how people might feel if the kidney were to fail and the disappointment that may cause. It is also important to consider the financial implications of donation, such as salary protection for recovery whilst out of work, life insurance, and mortgage repayments.